How To Wash Your Clothes And Make White & Colors Bright. No Toxins, Cheap And Easy! Conventional laundry products often contain toxic chemicals that can harm you and the environment. Unfortunately today, most synthetic detergents are often made of petrochemicals, phenols, and toxic fragrances. In other words, many laundry detergents are largely carcinogenic, allergenic, and otherwise harmful to your health. These chemicals have long been associated with environmental damage, particularly in our streams and waterways. Most people hate doing the laundry. It can be boring, exhausting, and some stains just will not go away. It is pretty hard to find a nice detergent that does not cause a fortune. Well, things are about to change here, and only one ingredient can solve all your problems. You will save your nerves, money and effort for something else. Just add a little white vinegar to your washing machine drum. 1. 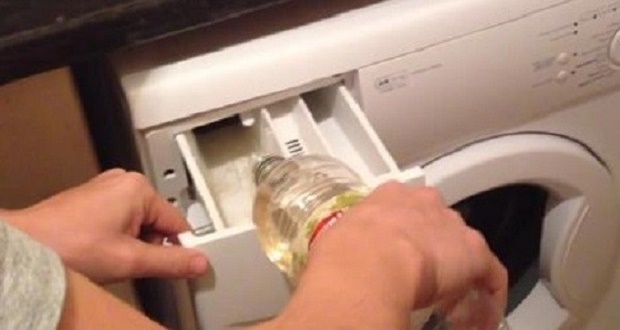 Pour half a cup of white vinegar (like this) on your clothes before you put them in the machine. White vinegar increases the power of your laundry detergent, protects the color of your clothes, and reduces any soapy residue after the washing.